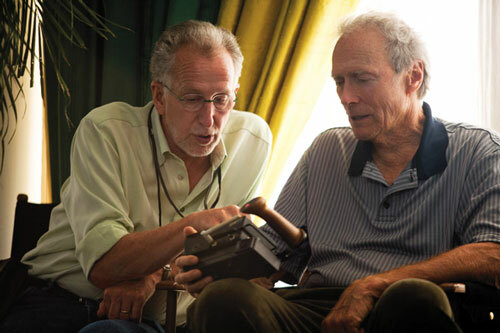 Academy Award nominee and ‘American Sniper’ cinematographer Tom Stern, ASC, AFC will appear in a conversation at NAB Show, which takes place in Las Vegas in April. The session, “Heroes, Legends and ‘American Sniper’: A Conversation With Tom Stern” is the Keynote Presentation of the Creative Master Series (CMS) and is produced in partnership with the International Cinematographers Guild (ICG) Local 600. It is scheduled for Tuesday, April 14, 1:45 – 2:45 p.m.
Stern joins Creative Master Series participants Robert Yeoman, ASC, (Oscar nominee and cinematographer of “The Grand Budapest Hotel”); Sandra Adair (editor of and Oscar nominee for “Boyhood”); animators and VFX artists of the smash hit video game “Destiny;” and music and SFX craftspeople from various projects including “Gone Girl” and the “Call of Duty” franchise, who will appear as part of a session discussing music selection and production. The Creative Master Series at NAB Show celebrates the craftsmanship of content creation and attracts cinematographers, film and VFX editors, production management for film, TV and online, content creators, content owners, programmers, and aggregators. The 3-day CMS program provides an insiders’ perspective from directors, show runners, creative crew, studio and network production executives as they share their insights on award-winning television and film projects, as well as commercials, gaming properties, and live event productions. Additional conference partners for the Creative Master Series include American Cinema Editors (ACE), American Society of Cinematographers (ASC), Entertainment Industries Council (EIC), Motion Picture Sound Editors (MPSE), New York Festivals, Production Music Association (PMA), and the Visual Effects Society (VES). “Heroes, Legends and ‘American Sniper’: A Conversation with Tom Stern, ASC, AFC” will take place Tuesday, April 14, 1:45-2:45 p.m. in South Hall Room 220 of the Las Vegas Convention Center. To attend this and other sessions, view registration packages at http://www.nabshow.com/attend/registration-packages.